Out’n About! 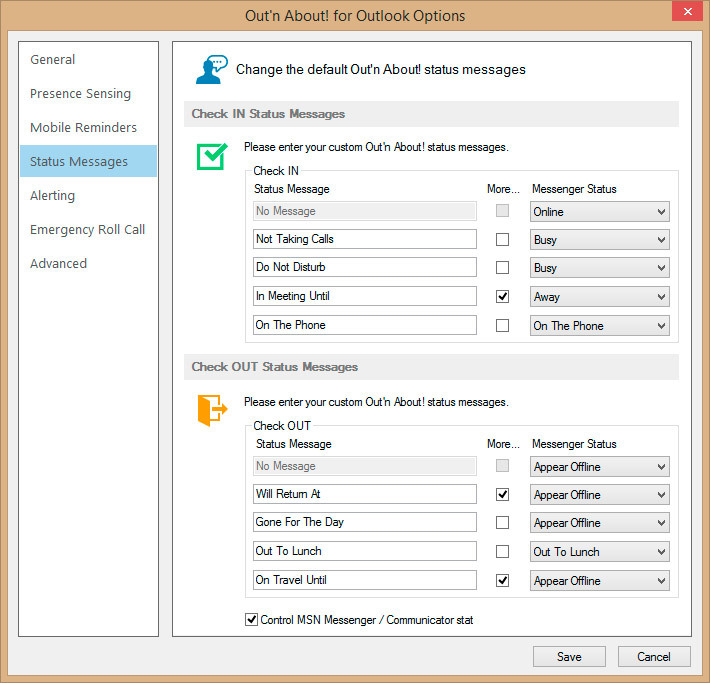 for Outlook is integrated with MSN Messenger. You can optionally configure the Out’n About! software to change you MSN Messenger status when you change your Out’n About! status. Configure Out’n About! for Outlook to control the MSN Messenger status and set the default MSN Messenger status for each preset Out’n About! status message. When you change your status using one of the preset Out’n About! status messages, your MSN Messenger status will automatically change to the preset status you selected. Out’n About! also provides the option to change your MSN Messenger status when using a custom status message.